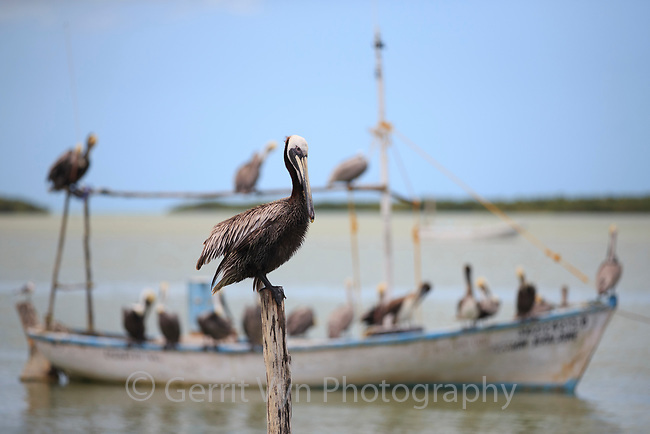 Adult Brown Pelicans (Pelecanus occidentalis) waiting for fisherman to return with their cach in a small harbor. Yucatan, Mexico. February.